You know what you want. Beyond quality, your jewelry has to have a lot of personality, style, and be able to spark your imagination. 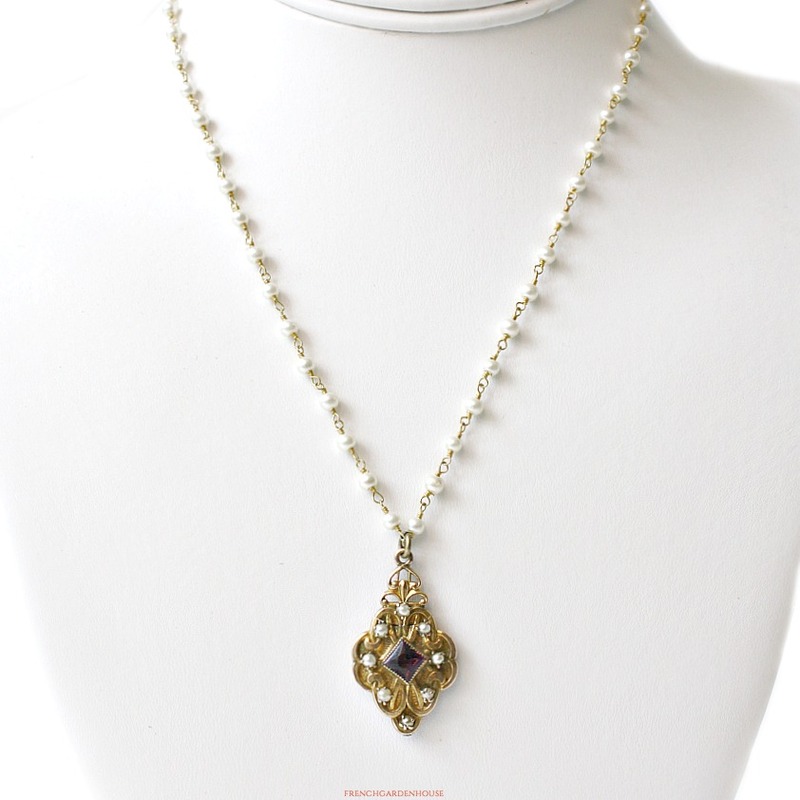 This gorgeous necklace is what you have been looking for. It's a pendant with a secret, it opens to reveal a small photograph of someone you want to keep close to your heart. 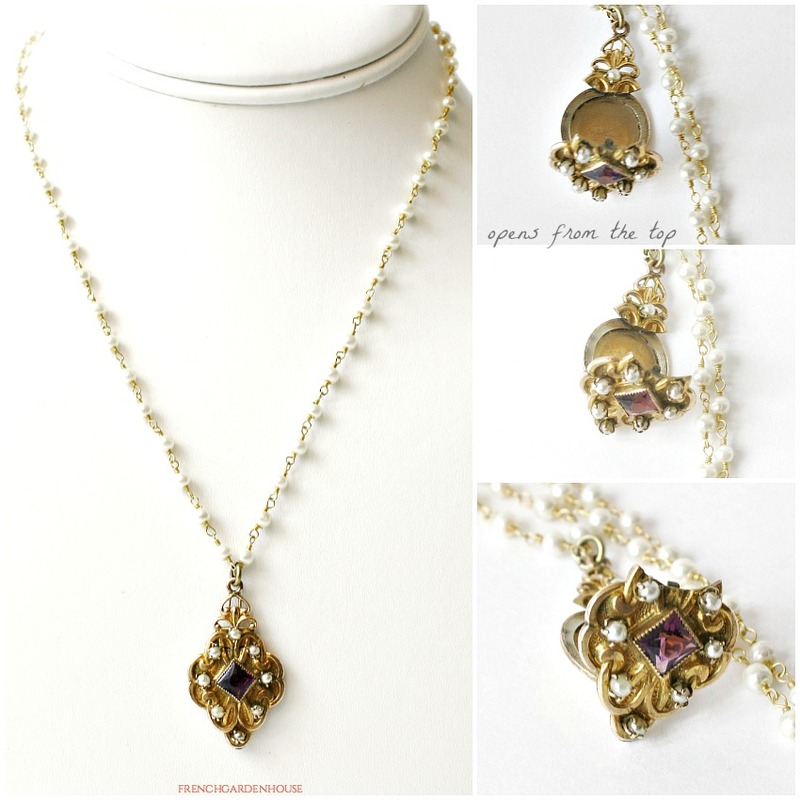 The front of the gold fill pendant has a glittering square cut lavender purple stone, surrounded by little pearls, remniscent of a Georgian amethyst locket. 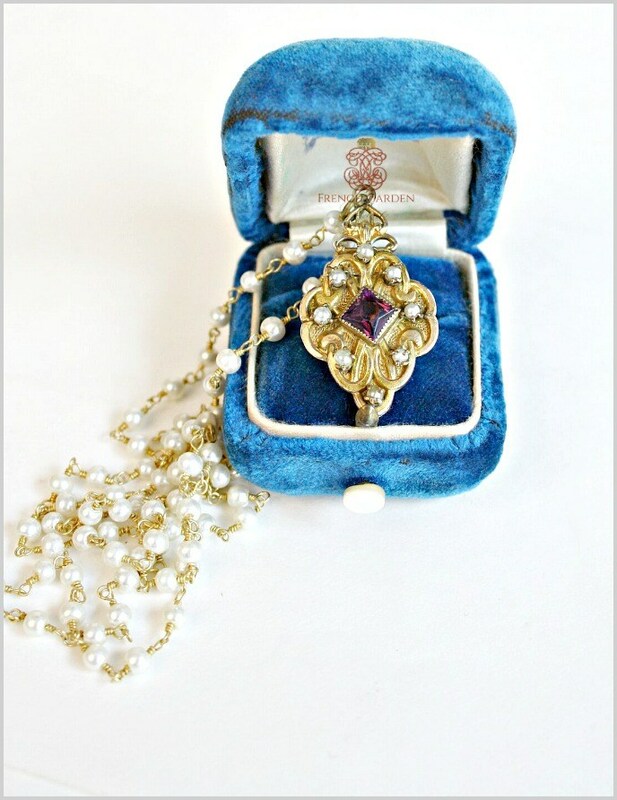 Beautifully ornate design on a finely textured background, the locket opens in an unusual way, from the top. 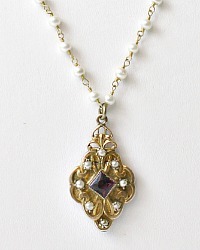 Comes with a delicate glass pearl chain.